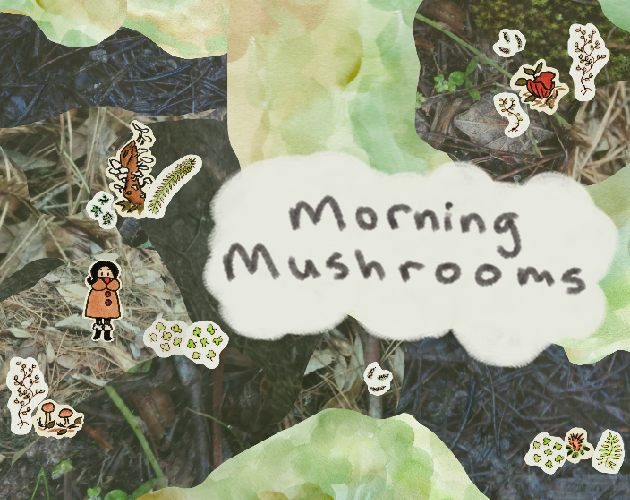 Morning Mushrooms is a Flatgame about my experience wandering the woods in the morning looking for mushrooms before anyone else woke up. If you aren't familiar with Flatgames they are simple 2D games that are about breaking games down to their raw essentials. Think of it as a collage you can explore! Move around using the arrow keys or WASD. Explore the forest and take time to reflect. Having a cup of tea at the same time is optional but highly suggested. Environment animation script is from here and music is by Thomas Hickman. Everything else was created by me. Morning Mushrooms wasfeatured in Rock Paper Shotgun! Thank you so much!!! 💗🍄💗 I hope your tea was lovely! ahhhh this warms my little mori girl heart!!! Thank you ❤️ Every time someone tells me they played it while having a hot drink my power grows.